Thuraya Telecommunications has been selected as the winner of the “Top Land Mobility Satcom Innovation” category in the Mobile Satellite Users Association’s (MSUA) 2017 Mobility Innovation Awards for their Thuraya XT-PRO Dual product. This is the second time for Thuraya to have won this award, which recognizes the industry’s leading mobility companies at the annual satellite conference conducted in Washington, D.C. Thuraya’s innovative SatSleeve that transforms smart phones to satellite phones had claimed the award in 2014. Thuraya’s XT-PRO DUAL is the world’s first dual mode, dual SIM phone that unlocks the power of convergence and sets new standards for the industry. Designed for users who move in and out of terrestrial coverage frequently, it can be used for government missions; and both on and offshore by oil and gas refinery and exploration companies. Thuraya XT-PRO DUAL also appeals to NGOs, SMEs and large scale enterprise companies, VIPs and consumers. 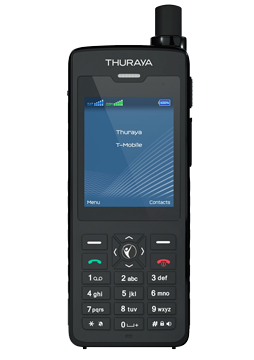 With a dedicated SIM slot for satellite communications and a second one for GSM communications, Thuraya’s latest handset transforms usability and choice. Supported by Thuraya’s robust network, users can enjoy clear communications and uninterrupted coverage across two thirds of the globe by satellite and across the whole planet through unique GSM roaming capabilities, with 389 agreements already in place. Bilal Hamoui, Chief Commercial Officer at Thuraya, indicated that the XT-PRO DUAL represents a major advance in convergence, with the unit's dual SIM, dual mode capability deliverings unprecedented flexibility, which opens up new levels of value to end users. Once again, Thuraya has delivered a dramatic step forward in SATCOM capability, driven by market demands. Winning this award for the second time reaffirms that Thuraya continues to push the envelope to disrupt the mobile satellite industry.